However, the Independent Budget Office of the City of New York (IBO) is now suggesting, in a report released Friday, that the amount of affordability preserved was inflated. The IBO estimated that while the deal was supposed to preserve 100,000 “apartment years” (the equivalent of 5,000 apartments for 20 years), 64,000 of those apartment years would have remained affordable anyway through rent stabilization. This would mean the deal really only saved 36,000 apartment years, not 100,000. The report also noted that when the sale took place, just over 5,000 apartments were already renting at below-market rates due to rent stabilization. While there has been plenty of debate over just how “affordable” the 5,000 apartments that are preserved and leased through a lottery system actually are, according to the IBO, only three percent of those 100,000 apartment years are reserved for low-income households. Twenty-seven percent are intended for middle income households while the remaining six percent of apartment years are units that will remain rent-stabilized longer than they would have without the deal. For its report, the IBO said it considered all of the newly created lottery apartments as well as ones that remain stabilized to be benefits to the city. Additionally, the report indicated that the city used some misleading numbers at the time of the property sale. By Saturday morning, a downpour that had gone on throughout the night cleared up just in time for one of Stuyvesant Town’s most important annual traditions, the Peter Stuyvesant Little League Parade. 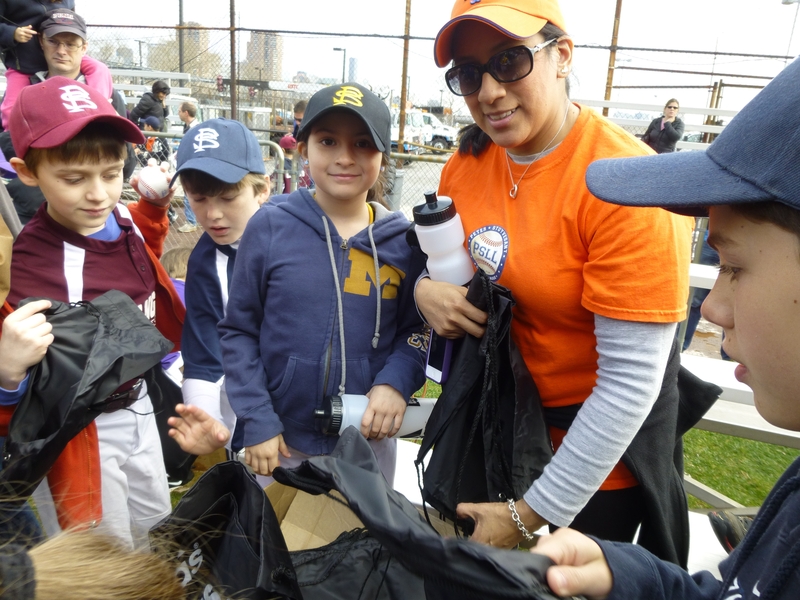 Hundreds of kids, clad in their new, colorful uniforms, marched alongside former Mets player and coach Mookie Wilson from First Avenue to Con Ed Field, where they got a pep talk from Wilson and a ceremony highlighting the league’s recent victories. Jeff Ourvan, the league’s president, discussed the $16,000 the PSLL just received as a result of the “Roberts v. Tishman Speyer” lawsuit settlement. Ourvan said the funds, which came from unclaimed checks from the settlement, would be spent on batting cages as well as turf repairs. Ourvan also praised players who last season, he noted, took home some impressive tournament wins. Of a 13 and 14-year-old girls’ softball team, Ourvan said, “It was the first time in PSLL history we went on to play a state tournament.” The nine and 10-year-old baseball team and the 11 and 12-year-old team also each won a Manhattan championship. “It shows you the quality of our league is improving,” he added. Last October, residents of Stuyvesant Town/Peter Cooper Village who were represented in the “Roberts v. Tishman Speyer” class action lawsuit saw a second wave of payouts from the initial $68.75 million pool. Now it’s likely that there will be a third round of checks, according to Michael Liskow, who’s one of the attorneys representing tenants from the firm Wolf Haldenstein Adler Freeman & Herz. As a condition of the second payout, if there was more than $100,000 left after a deadline for checks to be deposited passed, then there would be another distribution. If there was less than $100,000 left, then the remaining funds would be split among two local nonprofits, the ST-PCV Tenants Association and the Peter Stuyvesant Little League. The 120-day deadline has already passed for most of the recipients but attorneys won’t know the exact amount that’s left in the pool until around March 15. This is when the deadline will have passed for all eligible class suit members. However, as of this week, there was over $150,000 left, Liskow said. Nearly 2,000 residents of Stuyvesant Town-Peter Cooper Village who were part of the “Roberts vs. Tishman Speyer” lawsuit, which proved apartments were illegally deregulated, will soon see another round of checks. Attorneys on the case said there was about $450,000 left in unclaimed damages from the suit, which in 2013 resulted in a $173 million settlement for tenants ($68.75 million of that amount being cash and the rest in rent reductions). On Saturday, the checks were discussed by City Council Member Dan Garodnick at a meeting of the ST-PCV Tenants Association. Garodnick, who’s a resident of Peter Cooper Village, told neighbors that in order to be eligible for the money, the class action suit’s plaintiffs would have had to file as current, not former, tenants, and have received more than the minimum payout, which was $150. They also would have had to deposit their original check. In this case, “The checks should be coming in the next few weeks,” he said. Residents will then have 120 days to deposit the money. After that, any unclaimed money, if less than $100,000, will be split evenly between two local nonprofits: the ST-PCV Tenants Association and the Peter Stuyvesant Little League. According to Garodnick, there are 1,973 people who are eligible for the payout, which would make the average check around $228. This time, no one has to file any paperwork to get their damages. Lawyers for tenants said there were over 27,000 tenants and former tenants who were awarded damages from former landlords Tishman Speyer and Met Life. The damages were 100 percent of what the tenants overpaid based on calculations from a very complicated settlement formula, minus 30 percent for legal fees and other fees. For the past couple of weeks, residents of Stuyvesant Town and Peter Cooper Village have been able to talk about little else but what the latest sale of the property means for them — or doesn’t. For the property’s market raters, those with stabilized leases paying market rent or close to it, the deal means nothing. Not only did it not include an option to buy, it didn’t guarantee insider preference for the stock of affordable units as they become available — or even eligibility. Those details have yet to be decided, with a lottery as one possibility. While it is certainly encouraging to hear that the new owner wanted to make a deal that appealed to tenants, it is a shame that the residents in ST/PCV’s renovated units have been left out. Obviously, securing their stability in this deal would have been far more expensive and complicated for the city, and that’s in all likelihood why this was not even attempted. (For over a year, the mayor’s office made it clear that its goal was to preserve affordability at some, not all of the apartments. I’m writing on behalf of the 25,000 residents of Stuyvesant Town and Peter Cooper Village. Our residents, as well as tenants throughout New York City, are facing the worst housing affordability crisis in the city’s history. This crisis is damaging the economic and social fabric not only of our city but of our state as well. As our residents devote an ever-increasing percentage of their income to rent, the drop in their discretionary income has impacted local businesses. We see more and more empty storefronts. Local businesses have not only experienced precipitous drops in sales, their own rents are rising. The small, individually owned stores that provided a great diversity of needed services are disappearing, replaced by an oversupply of chain pharmacies and banks. The ST-PCV Community is at the center of the loss of affordable housing. Our apartments are currently rent regulated. However, in the wake of the NY State Court of Appeals decision Roberts v. Tishman-Speyer, which reregulated destabilized units, many of our apartments are renting at or above market rate. We want new families – not just the transient renters who currently make up a large percentage of new residents – to be able to afford to come to ST-PCV, put down roots and return this community to what it was originally designed to be during the administration of Gov. Thomas E. Dewey. However, excessive rent increases due to loopholes in the existing regulations are destroying the laws that keep New York affordable for more than one million people. One of these loopholes, known as preferential rent, slams preferential renters with hundreds-of-dollar increases at lease renewal time. Many of our neighbors, young families with preferential rents, are one lease renewal away from having to move. Major capital improvements have also unfairly burdened tenants. Tacked on to the rent in perpetuity, this windfall for owners simply is not justified beyond the recovery of actual costs. It is unconscionable. But the overarching issue which we hope you will support is repeal of Vacancy Deregulation, which has been responsible for the loss of thousands of rent-regulated apartments over recent years. This continued bleeding of affordability will ultimately destroy the city. Thirty-one years ago, your father addressed our nation about a “shining city on a hill.” It was a vivid presentation about what people could accomplish with hard work and a little help from their government in times of need. We are doing the hard work. Now we need that help from our government so that people who work in this shining city can afford to live in it. For the sake of our community’s future and for all other rent-stabilized middle- and lower-income New Yorkers, I urge you to give your full support for renewing and strengthening rent laws. On Saturday, over 400 residents of Stuyvesant Town and Peter Cooper Village gathered for a meeting held by the Tenants Association that focused on the upcoming expiration of rent laws and the uphill battle tenants would have in trying to get them strengthened. Speakers briefed the audience on the current power dynamic in Albany, while also telling those in attendance that without tenants writing to Albany lawmakers, especially the governor, the effort is a lot less likely to succeed. “If I go to Albany and say (to Governor Cuomo) two and half million people are going to be very upset with you, if that’s not clear in the streets and not in the mail in his email inbox, it’s very hard to believe,” said Assembly Member Brian Kavanagh. Kavanagh was one of the speakers of the event, which was held at Simon Baruch Middle School, along with State Senator Brad Hoylman and TenantsPAC treasurer Mike McKee. McKee told the crowd if the laws are renewed in their current state, “It would be a terrible defeat for tenants.” Referring to a recent Daily News article that quoted Cuomo as saying the laws and the controversial 421-a tax abatement for developers could possibly just be renewed and not changed, due to the federal investigations being conducted in Albany, McKee added, “I’m sorry, but that is crap.” McKee has said that 421-a is expected to be used as leverage during the rent law negotiations. Both Hoylman and Kavanagh spoke about Albany’s power system and how with the Senate in the hands of Republicans whose campaigns are financed largely by real estate, the only hope for tenants is in swaying the Assembly, led by Carl Heastie, and the governor. However, he added that recent media attention on the issue may prove helpful anyway. “There may an opportunity to shame people into backing off,” he said. McKee said that while in the past, major decisions in Albany have been made behind closed doors by the “three men in a room” (the governor, the Assembly speaker and Senate Majority Leader Dean Skelos) this year there might be four — if Jeff Klein is allowed to participate. 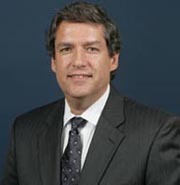 Klein is the head of the State Senate’s Independent Democratic Conference, a breakaway group that caucuses with Republicans. McKee, who’s often blasted Klein as being a tool of the real estate industry, commented that his participation would only be to tenants’ disadvantage. One advantage of tenants, he added, is that with Heastie being new as speaker, “he has to prove himself. He has to be accountable not only to us but the members that elected him speaker.” Heastie has said he considers strengthening the rent laws a priority. That said, McKee warned, there’s still always the possibility a tough talking pol will “wimp out” at the eleventh hour. “There is always a wimp factor in Albany,” he sighed. As for what tenants could do, he urged people to write to the aforementioned three men (letters rather than postcards), and get three neighbors to do the same as well as turn out, if possible for any upcoming rallies. One rally, organized by the Real Rent Reform campaign and the union 1199SEIU, which is aimed at strengthening the rent laws, is scheduled for Thursday, May 14 at 5 p.m. at Foley Square (corner of Centre and Worth Streets). The group will then march over the Brooklyn Bridge. “We need a very big turnout,” said McKee. Another rally is on Wednesday, May 6 in front of Cuomo’s Manhattan office at 633 Third Avenue (between 40th and 41st Streets) from 10 a.m.-noon. He then claimed to have a plan aimed at shaming Cuomo into helping tenants. McKee declined to discuss this further. “That’s all I’m prepared to say,” he said later. When taking his turn at the podium, Tenants Association President John Marsh echoed the sentiment of the other speakers, calling on neighbors to get involved. “If everyone takes a small step, we can have a very loud voice,” said Marsh. He also mentioned a door-knocking campaign that he and Council Member Dan Garodnick led through ST/PCV the following day, with Garodnick’s two young sons in tow. 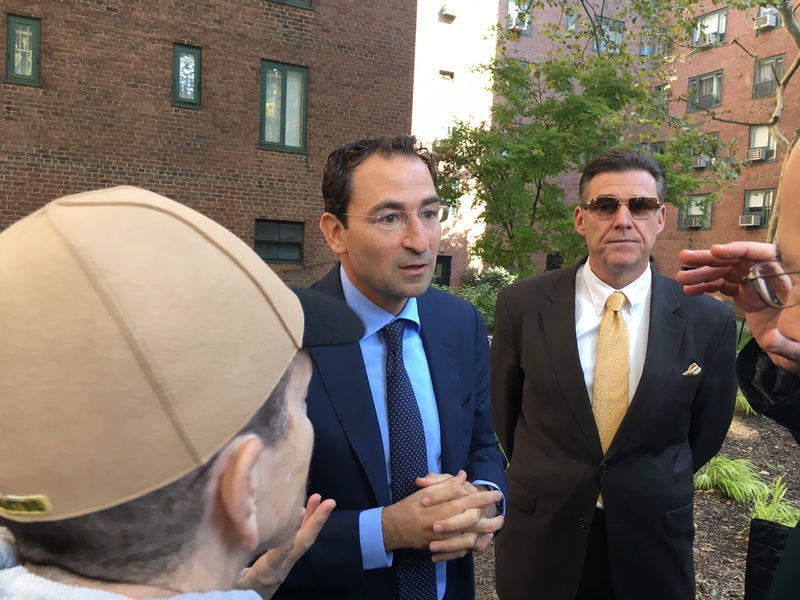 Garodnick later said the building walk-throughs resulted in many tenants being appreciative of the reminder of the looming rent negotiations in June. Kavanagh, when addressing the audience, said that while he realizes many new residents at ST/PCV probably feel the rent laws have no teeth when they look at the numbers on their rent bills, being rent regulated still offers New Yorkers protections they wouldn’t have otherwise. “It prevents landlords from arbitrarily evicting tenants and that doesn’t exist for most tenants in the city,” he said. Because of the outcome of the “Roberts v. Tishman Speyer” lawsuit, all units in ST/PCV will be regulated until the property’s J-51 tax abatement expires in 2020. Kavanagh reiterated the goals for strengthening the rent laws, which include repealing vacancy deregulation and other policies that give incentive to owners to vacate units such as vacancy bonuses and reforming the way individual apartment improvement (IAI) rent increases are issued. Reform of major capital increases (MCIs) is another goal. Kavanagh also got a round of applause after saying he wanted to close the preferential rent loophole. Due to preferential rents, which are given to most new residents in renovated apartments in ST/PCV, rent increases can be far higher than those issued by the Rent Guidelines Board, if the tenants’ legal rents are higher than what they’ve been paying (the preferential rent). Manhattan Borough President Gale Brewer, who’d been sitting in the audience at the meeting, along with Garodnick, at one point, popped up to comment about preferential rents, which she said was happening all around the city. “We go case by case and try to fight it but there is no great answer,” she admitted. The meeting then concluded with a Q&A period, with most of the questions from the audience—which were limited to the topic of rent—being on the theme of MCIs. Tenants mainly asked why they were being forced to pay them. 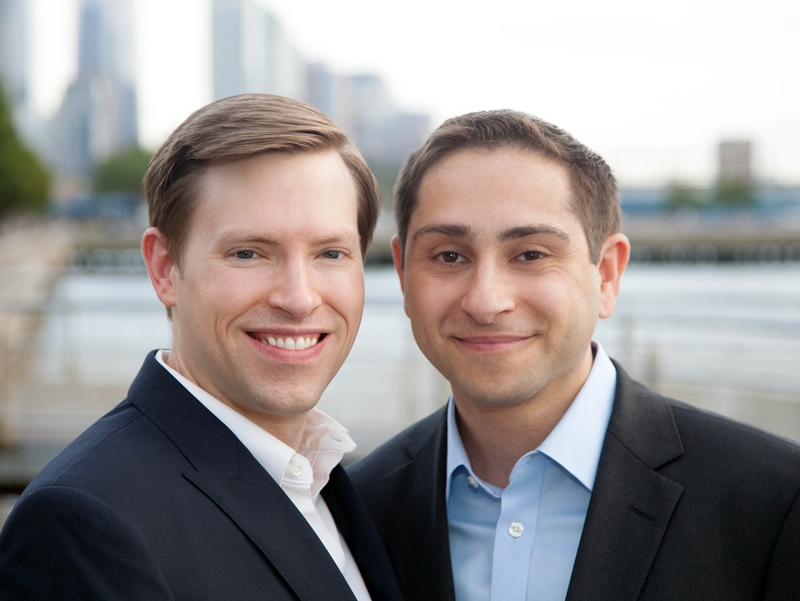 Hoylman and Kavanagh suggested that tenants’ use their frustration and personal experiences as inspiration to write to the governor. When a woman asked where the mayor was in this fight, saying, “He seems to have had a low profile lately,” Kavanagh responded to say he thought the mayor would be more visible soon. “This is the time we roll out this fight and I think you’ll see the mayor rolling out this fight,” he said. Hoylman added that a lot is done “behind the scenes,” going on to note that this is part of Albany’s dysfunction. When a man asked if strengthening of the rent laws would help a conversion effort, Kavanagh said he thought it would in that it would help thwart predatory bidders. Another tenant then asked if it could work to tenants’ advantage if Skelos, who’s being investigated by U.S. Attorney Preet Bharara, were to be indicted. The answer, however, was that it wasn’t likely to have any impact during rent negotiations. Town & Village later contacted the office of the governor to ask his position on strengthening the rent laws. In response, a spokesperson emailed prepared statements made by Cuomo at the Association for a Better New York breakfast on rent laws and 421-a. He went on to say, “Rent has to be extended. It is a New York City issue. If we don’t extend rent you would have chaos in the real estate market, these are rent regulations, rent stabilization etc. You would have chaos in the real estate market unlike anything we have seen because it regulates the private industry not another government. It lapses one day you will see real estate entities and landlords start rising rents and evicting tenants. I mean it would be immediate mass mayhem. A spokesperson, Frank Sobrino, when asked if the governor could clarify what was meant by “fine modifications,” said this was a general statement in response to suggested changes. He also denied that the statements were an attempt to remain neutral. For those wondering what the new apartments being built in Stuyvesant Town in the old management office building will cost, the answer is that tenants shouldn’t expect a break. However, the units will still technically be rent stabilized, at least until the year 2020, according to Alex Schmidt, lead tenants’ attorney in the “Roberts v. Tishman Speyer” lawsuit. “Like all the 11,200-plus units in the complex, they must remain stabilized at least until the J-51 benefits expire in June 2020,” Schmidt said. As Town & Village reported this week, Stuyvesant Town will be getting 11 new units, including a few new studio apartments. Some of those apartments will also have terraces, which, like studios, are a first for Stuyvesant Town. Interestingly, apartments that were originally on the property had to be taken down in order to create the former management office, Council Member Dan Garodnick said. Along with the apartments, the building will also soon be home to the Manhattan Kids Club, which is currently located on East 14th Street. Developer Gerald Guterman, who recently expressed his desire to see Stuyvesant Town tenants organize to demand a conversion and re-settle the “Roberts” and MCI settlements, while also hiring him as a consultant to help with the effort, has continued to pursue tenants as clients by drawing up a contract over the weekend. However, he wants to see at least 5,000 tenants participate in such an effort. Otherwise, he warned, his LLC company, West Palm Beach-based Guterman Partners, won’t take the job. “Before we can accept an ST/PCV assignment, it will be necessary for at least five thousand (5,000) separate residents families to sign a Consulting Agreement with a consulting subsidiary of Guterman Partners, LLC,” he said. In exchange for his services as an independent contractor, he’d get $10 per participant (a total of at least $50,000). His statement was part of a letter he wrote directed to tenants (though so far unmailed) asking them a number of questions such as whether tenants were told they’d be charged for the MCIs they received and for the “Roberts” tenants, if they received “the full dollar recovery” in damages for all the rent they overpaid. The letter also went into quality of life issues. “ST/PCV residents, were you told (when you signed your lease) that the building you lived in was being converted to ‘high population’ student/dormitory housing?” He also blasted the recent concerts in the Oval as a scheme to attract students. He also said, after the news that CW’s parent company Fortress was preparing a bid of $4.7 billion, that he wasn’t sure he was still interested in preparing a bid of his own, preferring instead to be a consultant in a tenant-led effort. He also invited tenants to contact him through the email address: stpcv@gutermanpartners.com. A spokesperson for CWCapital declined to comment on Guterman’s letter. As for the odds of Guterman being able to secure all the signatures he wants, it may prove a challenge. In May, 2013, attorneys representing tenants in the “Roberts” suit had a tough time just getting tenants to file their paperwork authorizing them to receive their damages checks. So much so that the Tenants Association and local elected officials stepped in to go door to door in ST/PCV in an effort to get tenants to file. This, recalled lead “Roberts” attorney Alex Schmidt, was even after all the “Roberts” tenants received documents in the mail with application forms. Schmidt declined to comment on Guterman’s letter. In previous statements directed at tenants, Guterman urged a “gloves off” fight in court against CWCapital in order to renegotiate “Roberts” and the MCI settlement and force a conversion and the end to student housing and apartments with pressurized walls. When asked about this, an attorney very familiar with “Roberts,” Leonard Grunstein, said he thought that a court agreeing to re-consider the case was highly unlikely. After Stuy Town was put up for sale by Met Life, Grunstein was hired by the Tenants Association to help with a tenant-led bid. It was then that he discovered that landlords benefiting from J-51 tax abatements could not deregulate apartments, which is what ultimately led to the “Roberts” lawsuit. Another attorney, Jeffrey Turkel, who represents owners and groups representing the real estate industry, told Town & Village that generally, courts don’t like to overturn cases. Turkel, along with a partner at his firm, Rosenberg & Estis, represented the Rent Stabilization Association, an owners’ organization, in “Roberts” when the RSA submitted an amicus brief, or document in support of Tishman Speyer. The Tenants Association, meanwhile, responded to the letter by defending its own conversion plan and partnership with Brookfield Asset Management. With the deadline for “Roberts” tenants and former tenants to file objections to non-payment deductions and retroactive MCIs having passed on Monday, attorneys have counted objections from 125 people. This is after over 5,000 “Roberts” plaintiffs received non-payment deductions (NPD) and former tenants in the class action had to pay retroactive MCIs, which were reduced or eliminated for current tenants only. As of Monday, attorneys said there were 81 objections to the deductions from tenants believed by CWCapital to be in arrears with their rent, 22 objections to the retroactive MCIs, and 24 objections to both the arrears and the retroactive MCIs. While attorneys said they had not yet had a chance to review all the complaints, it did appear that the NPDs were being challenged because tenants thought they were inaccurate and former tenants’ reason for objecting to the MCIs was mostly lack of notice. However, attorney Michael Liskow, of the firm Wolf Haldenstein, said former tenants were notified about the MCIs to be paid to the owner in the “Roberts v. Tishman Speyer” settlement agreement and the notice of the settlement that was sent to all the class members. In some cases, former tenants may have been unaware of the MCIs due to their having moved out by the time they were finally approved by the state housing agency last fall. But even without notice, the MCIs have to be paid as a result of the settlement, attorneys have said. Gerald Guterman, the landlord and developer who’s previously expressed an interest in bidding on Stuyvesant Town and converting the place to a co-op, said this week that he is no longer interested in buying although he would like to participate as a consultant in a tenant-led effort to do so. Though CWCapital never agreed to discuss business with him, and the Tenants Association ultimately chose a different partner in its own effort to bid, Guterman still pitched his co-op plan to tenants, which he said would have cost them, on average, $315 a square foot for their apartments. However, those numbers were based on a winning bid of slightly over $3 billion. Following the recent news that CW was foreclosing and its own parent company Fortress was preparing a bid of $4.7 billion, Guterman told T&V he was no longer sure he was still interested in buying. At this time, CWCapital is still in talks with the mayor’s office and local elected officials, working with the ST-PCV Tenants Association on a plan that would maintain affordability for apartments in the complex that are still in fact affordable. CWCapital declined to comment on Guterman’s statements, which were aimed at urging tenants to organize and even take legal action to demand a conversion and other changes in the community. The Tenants Association also declined to comment. Although over five thousand ST/PCV residents and former residents had non-payment deductions taken out of their “Roberts” damages checks, so far, it looks like only dozens are attempting to try to get that money back. As of Monday, July 21, only 78 people had filed to object to CWCapital’s claims that the owner was entitled to the money. This was one week from the deadline to object, July 28. Alex Schmidt, tenants’ attorney in “Roberts v. Tishman Speyer,” said he isn’t expecting that there will be too many additional objections before time is up since people with objections don’t typically wait until the last minute. As for why more tenants aren’t challenging the deductions, Schmidt guessed this is because more than half of the deductions were for amounts lower than $100 and that in other cases, tenants may have just been aware they owed the money. At this time, Schmidt said he doesn’t know how much money tenants are fighting to get back or what kind of payments are in dispute. Attorneys won’t be calculating the total until all the challenges are in, since CWCapital has said it won’t negotiate until then. Susan Steinberg, chair of the Stuyvesant Town-Peter Cooper Village Tenants Association, said the Association has heard from a number of tenants concerned about the accuracy of their deductions. However, the TA doesn’t know how many people went on to challenge them. In addition to the 78 objections, Schmidt said 30 former tenants who were mistakenly paid from a pool of money intended for the distribution of damages to current tenants have also submitted claims. This is because current tenants had 30 percent of their damages taken out for legal fees and expenses. Former tenants meanwhile, got 110 percent of their damages (before MCI deductions) since there was more money left over in that pool due to fewer people filing. Schmidt said that is currently being corrected. Former tenants hoping to fight their MCI (major capital improvement) deductions may have a tougher time, since, according to Schmidt, the owner is entitled to the money. It’s different, he said, if the former tenant thinks they might have been calculated improperly. “Roberts” plaintiffs who want to challenge a deduction can do so by contacting the Berdon Claims Administration, either by email through the contact link on the BCA website, www.berdonclaims.com, or by calling (800) 766-3330. Last week, residents and former residents of ST/PCV who were members of the “Roberts” class action finally received their long awaited damages checks. As Town & Village first reported, over 5,000 of them received non-payment deductions and class members who were former residents were subject to retroactive MCI fees. Jennifer Kops, a Stuyvesant Town mother of two who works as an administrative assistant, said she didn’t get anything in damages. She thought she’d be getting $434 but didn’t see a dime after legal fees, MCIs and nonpayment deductions. She grew up in Peter Cooper Village and after divorcing, returned over four years ago with children Jack and Kiki. In that time, she and her family have lived in two one-bedroom apartments in Peter Cooper and now a two-bedroom in Stuyvesant Town. “We’re fine, but the suit didn’t do anything for me,” said Kops. She moved the last time since the upgrade to a two-bedroom was $3,350 a month, only $100 more than what she’d been paying at her last apartment. “Stuy Town is always a little cheaper,” she said. Though making the rent has never been simple, “we wouldn’t want to leave,” Kops said. Kops had been on the board of the Tenants Association for a few years, her kids are in the Peter Stuyvesant Little League and she is currently involved in the PTA at her daughter’s school, PS40. There she’s met other moms in similar situations to her own, tenants in Stuyvesant Town, who’ve turned living rooms into bedrooms with either pressurized walls or bookcases for their kids. 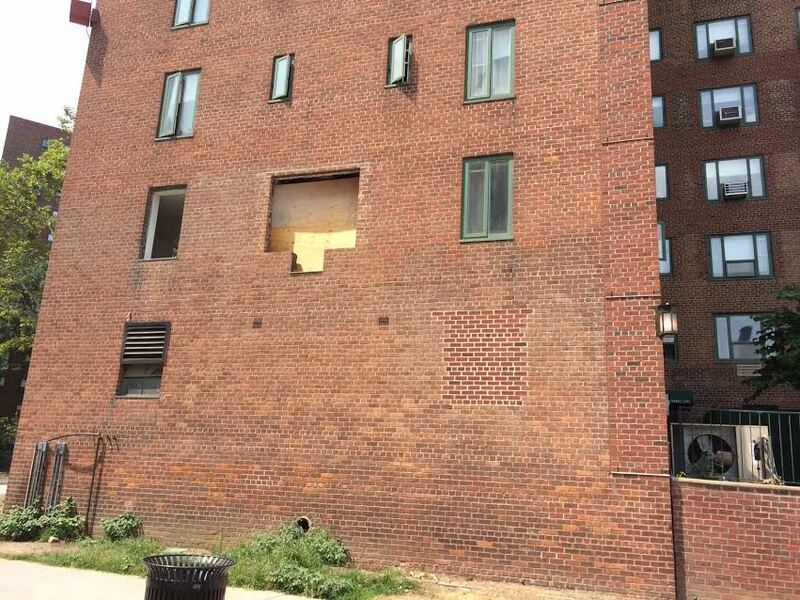 This is what Kops had done in her last place, but found life in a one-bedroom too difficult. The new place is on the main floor and she often hears the conversations of the maintenance employees whose lounge is below her apartment, but that’s her only gripe. Maurice Owen-Michaane (right) and his husband Michael got a $13,000 payout. Former resident Maurice Owen-Michaane, who lived in Stuy Town for five years until September, 2012, said it wasn’t “Roberts” that changed things for him or his family, but other factors like constant construction that made him think the complex was going downhill and more importantly needing more space after having a baby. So he moved to Washington Heights where he now lives with his husband and son, and apparently, many other families nearby. This week, Owen-Michaane went straight to the bank after receiving his $13,000 in damages, which, he said, will be used to send his son to pre-school and pay some of the couple’s student loans, which total $200,000. “We’re not going on some big vacation,” he said. That said, overall, Owen-Michaane said the suit was definitely still a win for tenants. “It was a victory for the little guy, the middle class, who usually get forgotten,” he said. “Roberts” tenant Jill Pratzon, who owns an art restoration business, said after getting her check, she felt misled about the entire lawsuit. Pratzon, who moved into Stuy Town with her son and husband, a high school teacher, towards the end of the Met Life era, said due to “Roberts,” she got a $90 rent reduction. This brought down the rent for her one-bedroom apartment on Avenue C to just over $3,000. In damages, after deductions, she and her husband each got checks for $37.50. “I feel like a fool for staying,” said Pratzon, who got a $500 increase at the time of their first renewal when Tishman Speyer took over the property. The couple’ son had just come home from brain surgery, and they asked management to consider not increasing their rent. In response, it was lowered to a $400 increase. Pratzon said she was told at the time that the owner was planting a lot of trees and that she’d love living there because it would be like the Garden of Eden. When Pratzon moved in it was because the building had an elevator and her son was in a wheelchair. “Then he was out and this lawsuit happened and I thought it was going to mean something,” said Pratzon. Pratzon, who’s 52, said she’s recently begun taking on more clients, working longer hours, six days a week. Now she and her husband are the oldest people on their floor. People in two other apartments moved out this week. Pratzon also pointed out that in order to afford the rent, her family has no savings. 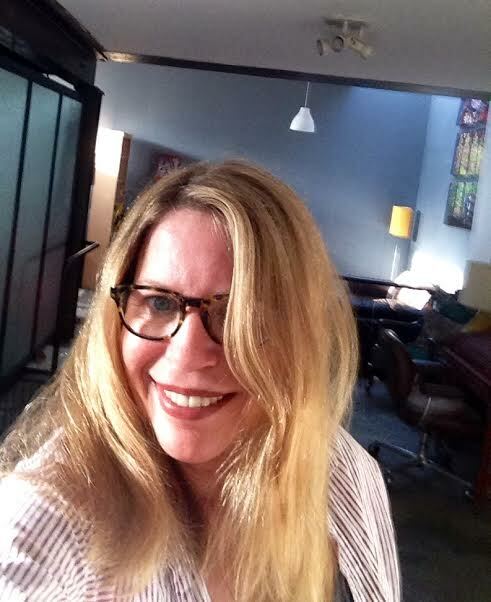 Jill Campbell, a documentary maker, moved into Stuyvesant Town in 2008. The following year, with the “Roberts” case being won by tenants, she was attending tenant meetings and hearing about how the apartments were re-regulated and later, about the Tenants Association’s hope of going condo. At one point, she recalled her rent going down slightly as a result of the case, but just last month, after the most recent increase, she felt she couldn’t afford it anymore. And this was after haggling and getting a significant amount shaved off the bill. Campbell asked that the amount of her rent and what she received in damages not be published. However, she noted that due to legal fees, the damages were less than what she thought she’d be getting. Overall, Campbell, who now lives in Williamsburg, said she doesn’t feel like the lawsuit impacted her, other than if she hadn’t gotten her hopes up for lower rent similar to what those in unrenovated units were paying, she would have moved out sooner. But that wasn’t the only reason for leaving. While she doesn’t feel the suit did much for “Roberts” tenants, Campbell said she believes it did help the older residents in that it stopped the wave of primary residence challenges aimed at getting them out. “I think it was good for the old-timers who now have peace of mind,” she said. Software writer Nick Furness, a resident since 2001, said he first lived in Stuyvesant Town in a two-bedroom, then moved into a one-bedroom in 2003 when the rent got higher than he could afford. He and his wife, a handbag designer, were okay until the rent there got to be around $3500. They then started looking around at other places and though they found other places in the East Village that were slightly cheaper, “they were horrible.” Plus, Stuy Town rent at least included utilities and the large windows offered a lot of light. After the market crashed, in 2008 or 2009, Furness said he was able to negotiate a significantly lower rent. He wasn’t aware of the “Roberts” litigation at the time and now wonders if it was the reason he was able to get Tishman Speyer to agree to reduce his rent to around $2600. Since then it’s been slowly “creeping back up,” said Furness and he now pays a little over $3,000. At the end of the day, while Furness said he wished attorneys had done more to protect tenants from high fees, he believes he’s better off with a rent regulated home.